Over the weekend we had a few friends that came down from Kuwait, ofcourse the first place we take everyone is the Dubai mall since we just love showing off the beautiful fountain shows that take place at the mall. On arriving we noticed the restaurant was quite busy, but we were seated immediately. En-route to our table we noticed a busy open kitchen with a good 10 waiters placing and receiving orders, a bit chaotic but it was packed night, after all it was the weekend. 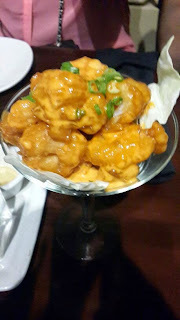 P.F.Chang's has an outdoor air-con area which is really pleasant, as we were seated we noticed all the tables around us had an order of the famous dynamite shrimp,we immediately knew we had to order one as well. Since our guests had been to P.F. 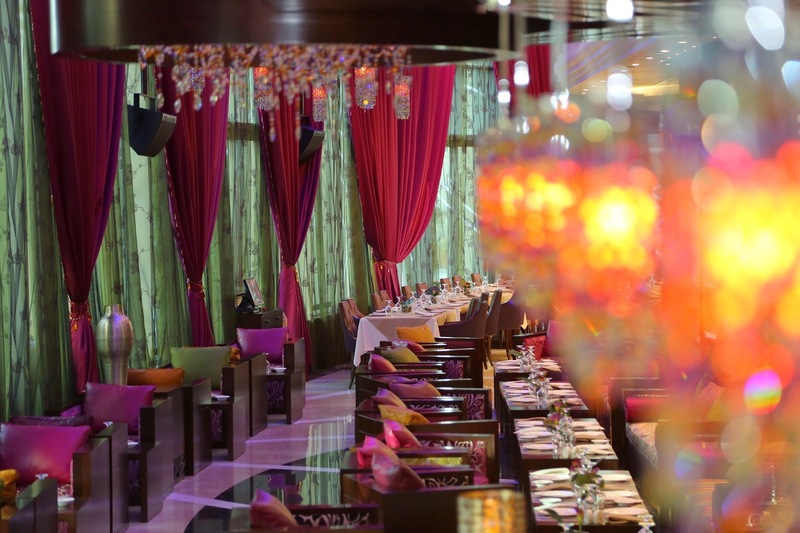 Chang in Kuwait and highly recommended it we let them place the orders for the food. 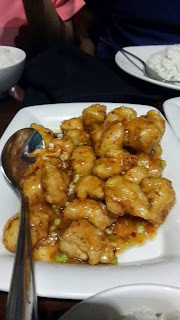 We were a total of 5 people, so for the starters we ordered 2 dynamite shrimp and one chicken dumpling.The dynamite shrimp here is a MUST-HAVE, its a crispy mix of sweet and spice and you don't even realize that you're having so many until its gone! The dumplings (steamed) too are really nice and a plate has about 7 odd pieces. The dumplings go really well with the sauces they serve. 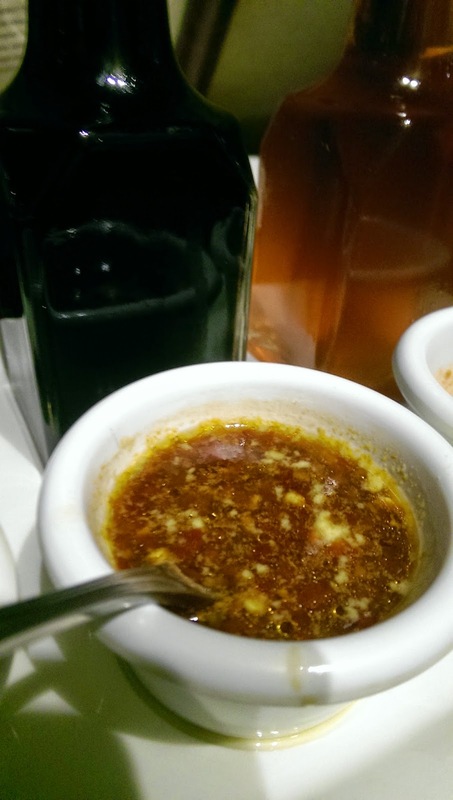 Normally the waiters will mix the 3 sauces together and serve. The sauce mix is a 5 on 5 from me, since it adds a differnt flavour to the dish. For drinks we ordered 2 orange juice (which came in half glasses), refillable sprite and pepsi and a house ginger and sugar cane beer (non-alcoholic). The beer was meant to be a mix of sugar cane and ginger however the ginger taste was so empowering that I had to ask for some lemons and wait for the ice to melt to dilute the drink, something I think P.F. Chang needs to work on. For the mains we ordered kung pao chicken, sesame chicken and orange chicken. 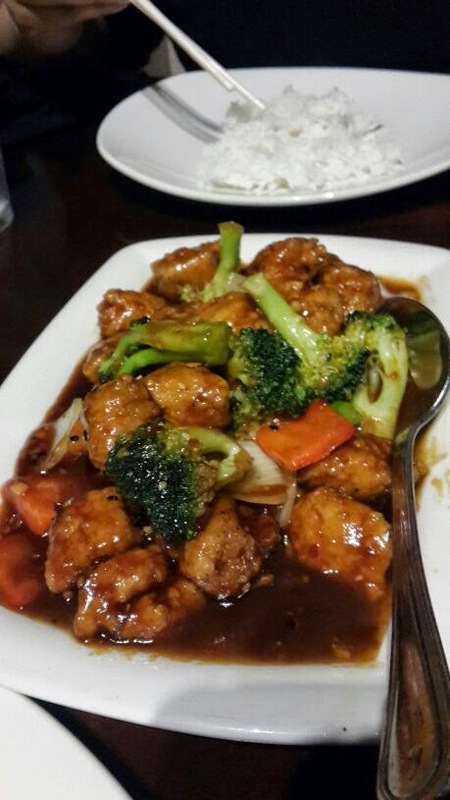 Each main comes with a side of sticky white rice which goes perfectly with any of these dishes ordered. The kung-pao chicken is pieces of chicken mixed with chilli flaxes and peanuts. 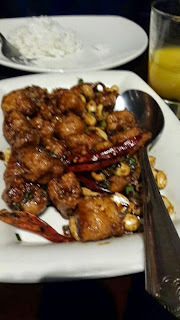 The spice is not too over-whelming and the peanuts (which I don't usually like) are mixed with the chicken which creates a nice balance. 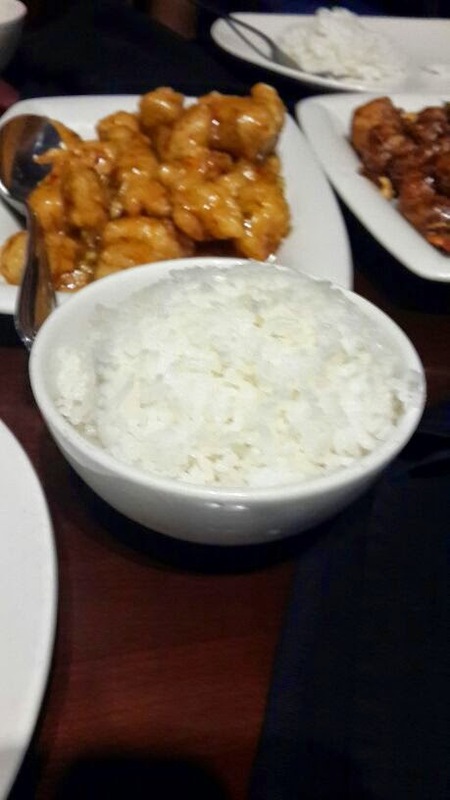 The orange chicken was my personal favourite, since it went really well with the sticky rice. The sweetness of the sauce stuck to the chicken - it was a great combination. The sesame chicken had a bit more gravy to it, and the peppers and onion added to it was a sure winner! The chicken was tender and again this too went really well with the rice. Looking at the bowl one may think the rice quantity is less however everyone at the table couldn't finish that one bowl even. 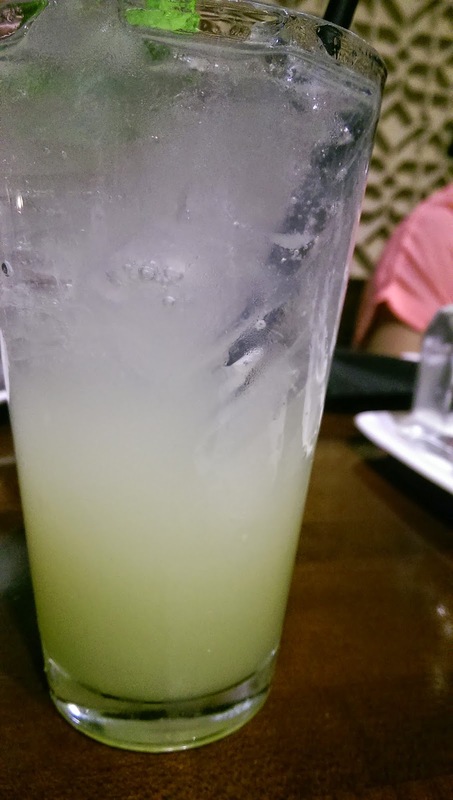 The ambiance of this place too is really nice and the servers are really friendly and very polite, always one of the plus points for a restaurant.